Potchefstroom was established in 1838 by some Voortrekkers led by Andries Hendrik Potgieter. The Potchefstroom name was derived from Pot(gieter), the Voortrekker leader, 'chef' (the leader, referring to Potgieter), and 'stroom' (the Mooi River). Until 1960 it was the capital of the old South African Republic of which the first president, Marthinus Wessel Pretorious, was sworn in. This medium-sized university town is close to the Vaal River where it forms the border between the North-West Province and the Free State. Its main attraction is its close proximity to the Dome Conservancy, where there are small game sanctuaries, mountain bike trails and interesting hikes.In spite of the size of Potchefstroom, visitors will be surprised at just how much there is to do. Here are some of the activities: The Potchefstroom Museum, Totius House Museum, President Pretoruis Museum, Goutz / Fleischack Museum and the Durch Reformed Church, for those who wish to go. It's the oldest existing church building north of the Vaal River, and a declared national monument. Another place to go to is the City Hall, the clockwork and bell with its Westminster chimes were manufactured in the Netherlands. There is the Potgieter Banqueting Halls, the mosque, one university and 2 colleges, the Agricultural Centre, sport facilities and the Olën Park / Kenneth McArthur Oval sports headquarters. The Potchefstroom Country Club is an 18 hole golf course with facilities for tennis, bowls and squash. The Trim Park near the Country Club is a paradise along the Mooi River, it's the perfect recreational area which can be used for shows. For the avid birdwatcher, there is the Prozesky Bird Sanctuary. An art market is conducted in the town every month for visitors and locals to make unique purchases. 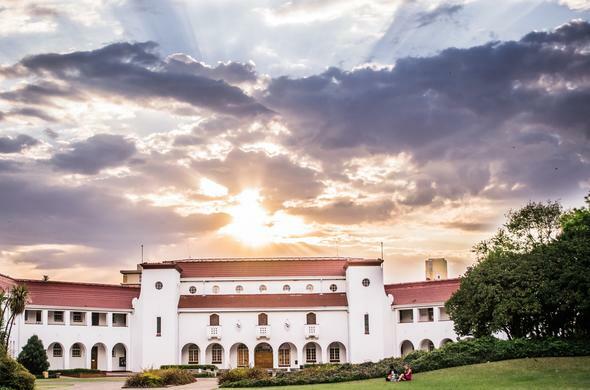 Potchefstroom is less than an hour's drive from Johannesburg and is close to the Free State town of Parys, just on the other side of the river.